The Rush+ Small has been designed with a sporty multipurpose funactionality in mind. They have the platinum coating for protection against scratching and fogging whilst also having added comfort with a non slip nose bridge and flexible temples. 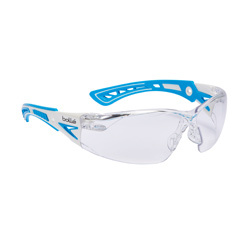 There slightly smaller frame size means they are reccomended for female safety glasses wearers and come in either a pink/white or blue /white side arms. 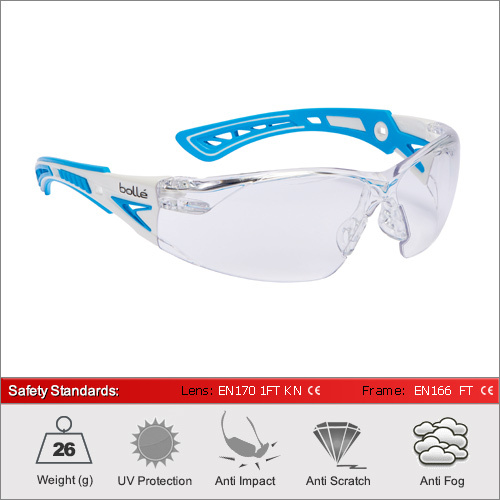 The optical quality 1 lenses can be worn all day long if required.